Dr. Plummer Alston Jones, Jr., professor of library science at East Carolina University in Greenville, NC was selected as the 2018 recipient of the Reference and User Services Association’s (RUSA) History Section’s Genealogy / History Achievement Award, sponsored by ProQuest. The award consists of a citation and $1,500* to a librarian, library or publisher, in recognition of professional achievement in historical or genealogical reference, service, or research librarianship. Dr. Jones received his PhD in Information and Library Science from the University of North Carolina at Chapel Hill in 1991, and his Master of Science in Library Science at Drexel University in 1977. He developed and teaches one of the few courses for graduate credit in a library science program that is geared towards genealogical and local history collection librarianship. 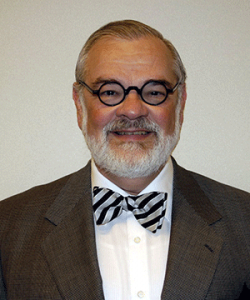 He served as a previous editor of the North Carolina Genealogical Society, NCGS News, and on the Executive Board as a director. Additionally, he was awarded the Outstanding Contribution to Family History Award, given by the North Carolina Genealogical Society, for The Jones Family of Blounts Creek, Beaufort County, and Allied Families, in 1998 and has written several other books contributing to North Carolina family history research. As a long-time member of the North Carolina Library Association, he has previously served in several roles including Vice-President and President, and has served as editor of their journal, North Carolina Libraries. He was recognized with an outstanding contribution award in 2005. He participates in local genealogy societies and has submitted several genealogical articles to various publications. Dr. Jones is a former chair of the ALA Ethnic and Multicultural Information Exchange Round Table and the author of two books on public library services with immigrants and minorities: Libraries, Immigrants, and the American Experience (Greenwood, 1999) and Still Struggling for Equality: American Public Library Services with Minorities (Libraries Unlimited, 2004). He previously served on the ALA Library History Roundtable and received their Phyllis Dain Library History Dissertation Award in 1993. The selection committee includes: Jennifer Daugherty (Chair) and Mary E. Bogan.